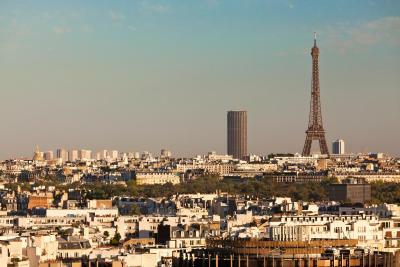 Lock in a great price for ibis Styles Paris Boulogne Marcel Sembat – rated 8.2 by recent guests! Freshly squeezed orange juice, croissant, cheese at breakfast. Comfortable bed. Your staff was very helpful. I enjoyed your bed and breakfast. The lady who help us to checkin is very nice and helpful. 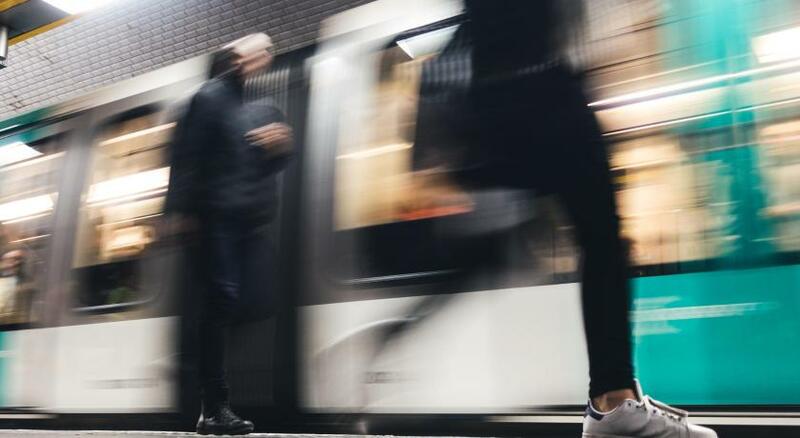 Accommodating staff and Paris Metro right outside the door. Lots of dining choices available. We were steps away from the Metro. Free breakfast and very good WiFi, room was comfy and clean. This was a great value and we would stay here again. Nice staff, clean bathroom, comfortable bed and large room. Located in Boulogne, at the edge of Paris and just a few steps from Roland Garros is the ibis Styles Paris Boulogne Marcel Sembat. 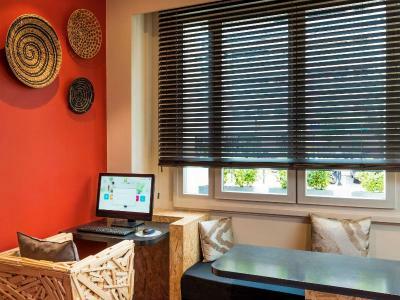 This air-conditioned hotel offers rooms with flat-screen TV Canal + and Bein Sports and free Wi-Fi. 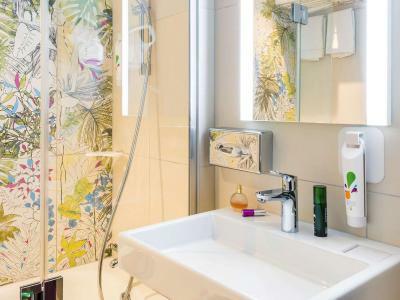 All rooms feature a private bathroom and a free bottle of water upon arrival. A buffet breakfast is provided daily and free newspapers are available at reception. The front desk is open 24 hours a day 7 days a week and the entire hotel is serviced by a elevator. 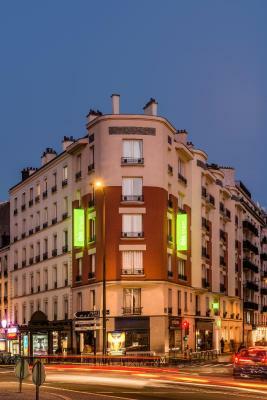 Marcel Sembat Metro Station is 30 feet from the ibis Styles Paris Boulogne Marcel Sembat. This line offers direct access to the Champs-Elysées. 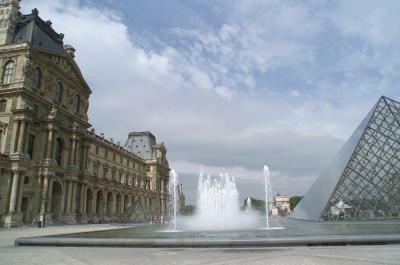 Paris Expo Porte de Versailles Exhibition Center is a 10-minute drive away and La Seine Musicale Cultural Center is a 5-minute drive away. 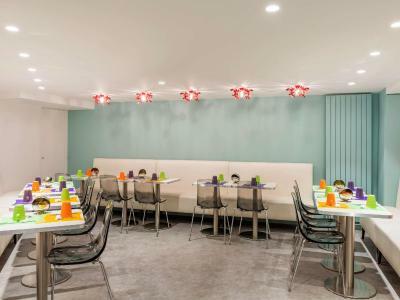 When would you like to stay at ibis Styles Paris Boulogne Marcel Sembat? These two rooms are adjacent bedrooms. 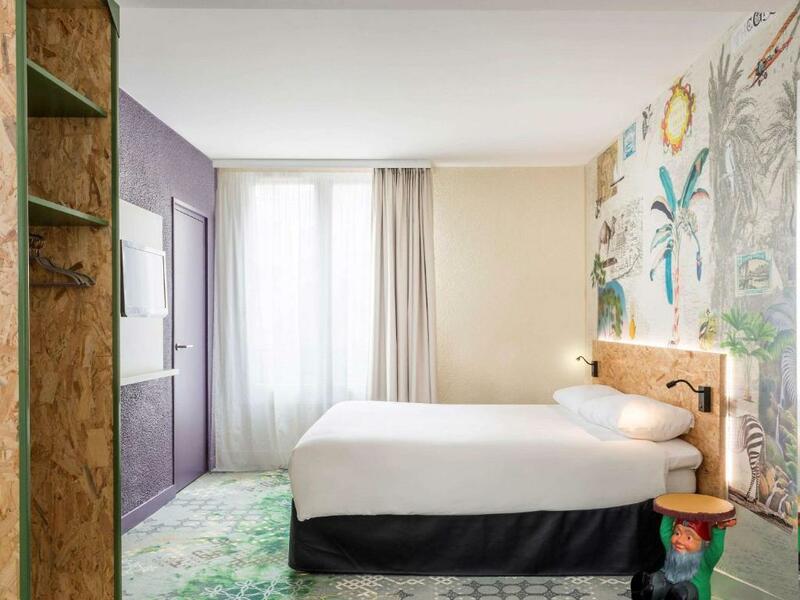 House Rules ibis Styles Paris Boulogne Marcel Sembat takes special requests – add in the next step! 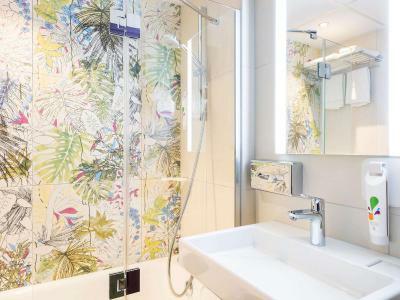 ibis Styles Paris Boulogne Marcel Sembat accepts these cards and reserves the right to temporarily hold an amount prior to arrival. Please note that guests are required to present the credit card used to make the reservation as well as corresponding photo ID. 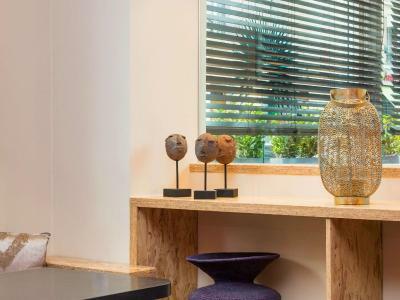 In the case that guests are unable to provide the credit card used to make the booking, guests will be required to pay in full at the property by other means and the original credit card will be credited. The hair dryer was not great. Took a long time to dry my hair. Window was faced to a road, so it was a bit noisy. Tiny bathroom. I left on the door to clean later but they went in I was in the bathroom. The elevator is very small. The only thing I can find to be a downside. Everything was excellent. The location, the staff, the room, breakfast, wifi, the decoration.. I really enjoyed staying here. The bathroom was very small, and the dining area for breakfast was ridiculously small and there was no food or seats. Location was good for me and it is very handy for the metro I have stayed before. The hotel was better that time. I had a room on the 5th floor, but still very, very noisy. The windows are not particular soundproof. Compared to other places, Shocking value for money. Hotel is in general less modern/new/fresh than it looks in the photos.